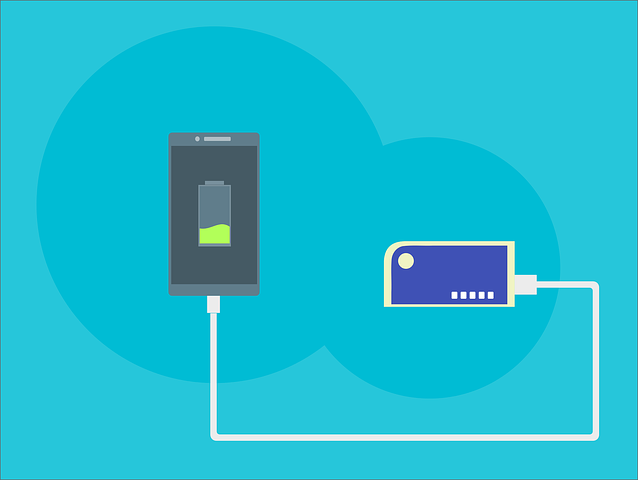 Want to recharge your smartphone on the go? These ultra small external battery packs are called “lip-stick” sized, since they are typically the size of a lip-stick tube or a roll of mints. Many priced under $15, the cost is as small as they are! Measurements are about 1 inch diameter x 4 inches long, and 3 to 6 ounces. These come in a variety of colors, including basic black, blue, red, green and others. The Anker PowerCore+ Mini (about $20) is a 3350mAh Lipstick-Sized Portable Charger (3rd Generation, Premium Aluminum Power Bank). It’s about 3.7 x 0.9 x 0.9 inches, weighing just over 3 ounces. We like Anker’s “PowerIQ” circuitry which detects your device to deliver its fastest possible charge speed up to 1 amp. It’s got enough battery to charge 120% of the iPhone 8, or 80% of the iPhone X or 70% of the Galaxy S8. The battery inside is made from high-grade lithium-ion cells, which should get a minimum of 1,000 charge / discharge cycles. This is enough to last about 3 years for the typical user. You can fully recharge the PowerCore+ back up to 100% in about 3 to 4 hours with a standard 1-amp USB charger. There is an LED light to let you know what the charge level is. The Anker PowerCore 5000 is an ultra-Compact 5000mAh External Battery (about $22). If you don’t mind a little larger PowerBank (4.2 x 1.7 x 0.9 inches, and 4.8 ounces ), for just a few dollars more you can nearly double the storage. You get the same “PowerIQ” matching circuitry, with fast device charging capabilities of up to 2A. Expect to charge about 180% of iPhone 8, 130% of iPhone X or 110% of Galaxy S9. We like how much battery power is packed into this small device, and how quickly it brings back our devices from the low-battery levels. The PowerAdd Slim 2, at around $13, is the lowest priced Lipstick-Sized Portable Charger on our list. And with 5000mAh, this External Battery Pack matches the Anker PowerCore. At 3.9 x 1.3 x 1.2 inches ( 4.2 ounces), it’s hexagonal shape is a little bulkier but it’s still small enough to put in any bag or purse. In addition to the low price, we like that it has 2.1A max output to quickly recharge devices. And the PowerAdd can be charged in about 3 hours with a 5V/2A USB charger. The Aibocn Mini Power Bank is more of an eclair shape than lipstick case, but it does pack 8000mAh into it’s 5.5 x 1.5 x 1.2 inches (6.4 ounces). At around $12, it’s a steal of a deal. We like that this is has enough charge for iPads and Kindles, as well as smartphones. The 2.1A out is speedy, and the 2A in for recharging the PowerBank gets it back up to 100% in under 4 hours. The LEDs are a nice feature, making it very easy to see how much charge is left in the PowerBank. Rid yourself of battery anxiety when carrying one of these ultra compact lipstick sized PowerBanks. For around $12 each, you can get one for all your bags, purses and suitcases!